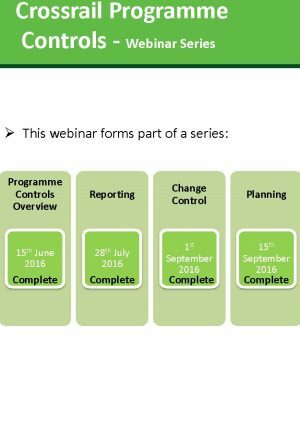 This was the second in a series of Crossrail Learning Legacy webinars focused on Project and Programme Management hosted by our partners at the APM. As a high profile, highly complex programme with a large number of internal and external stakeholders, Crossrail has diverse user groups for its management information. The reporting hierarchy comprises of a range of reports produced by Crossrail to meet varying stakeholder requirements. Reporting processes are supported by effective information systems to hold, aggregate and summarise data, as explicit knowledge. Tacit knowledge is integrated with data in project dashboards which are presented to the programme executive at periodic Project reviews, where those responsible are subject to scrutiny, and are expected to advocate their position. This webinar aims to demonstrate how this process works and the various elements required for it to be an effective process. Mike is Head of Reporting at Crossrail. A programme manager with 10 years experience in delivering large, complex change programmes, principally for public sector clients. Mike has been supporting the Crossrail Programme controls function since March 2015. Esther English is a Programme Controls Engineer for the Crossrail programme providing analytical support to the Programme Controls department and the Head of Programme Controls. 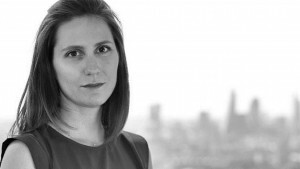 Esther is heavily involved in the creation of the periodic Programme Delivery Board reports in addition to any supporting analysis that aims to positively impact the delivery of Crossrail. Esther joined the programme as a Performance Analyst from KPMG where she worked as an Advisor focussing on Data & Analytics, and Project Management. Esther started her career as a Business Analyst at Reed Global where she qualified as an accountant.